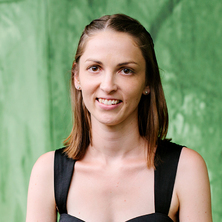 Rebecca is a teaching focused academic at the University of Queensland, and she has a particular clinical and research interest in paediatric populations. Clinically, Rebecca has experience working with school-age children, and she is passionate about sharing her interest and expertise in this area through her teaching and research aspirations. Rebecca’s teaching and research focuses on a range of paediatric areas of speech pathology practice, including speech, language, literacy and special needs in communication (including children with Autism Spectrum Disorder, and Developmental Language Disorders). To date, Rebecca has presented at national and international conferences and also has published in peer-reviewed journals published in the areas of Autism Spectrum Disorders, and also population-based research examining the early life predictors and long-term outcomes of language impairment.